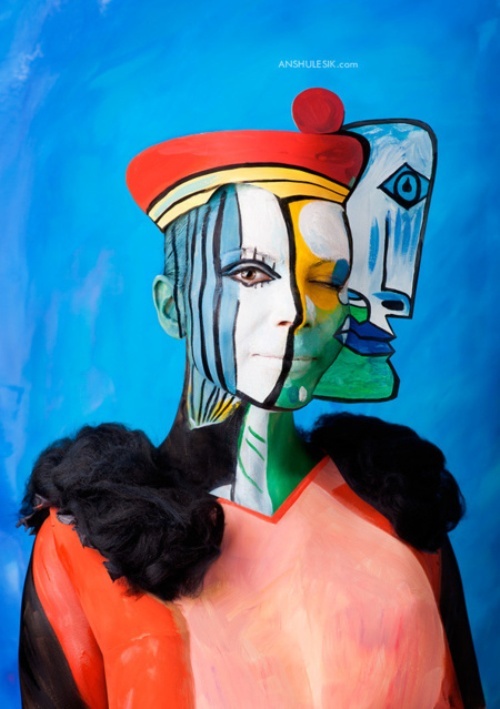 Pablo Picasso photo project. 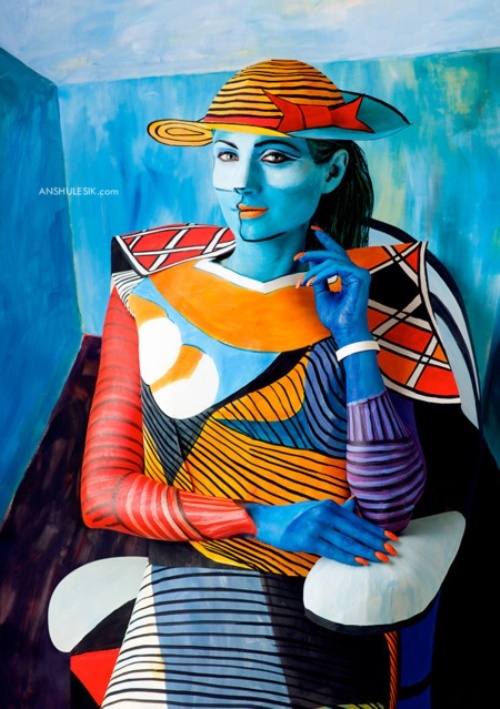 Spanish painter Pablo Picasso certainly would have been pleased by such “reproductions” of his paintings. 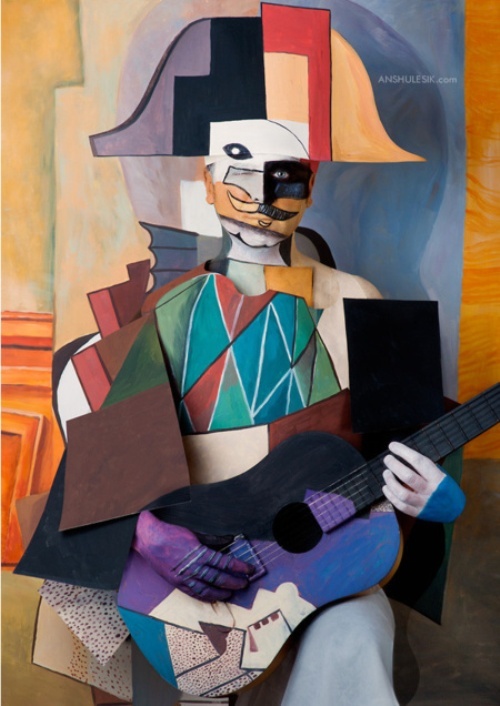 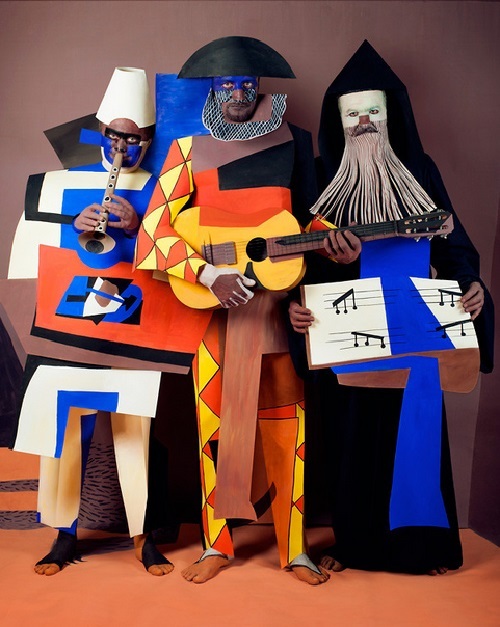 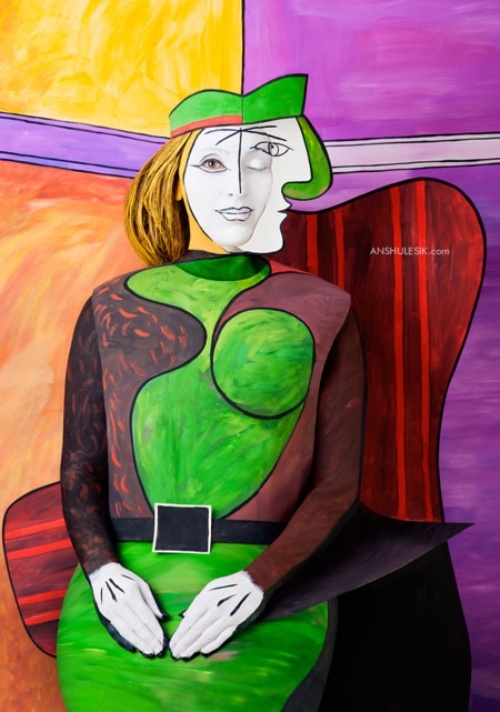 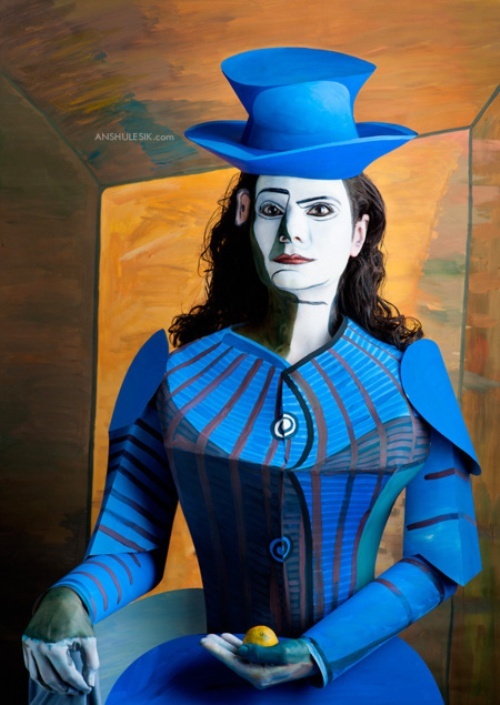 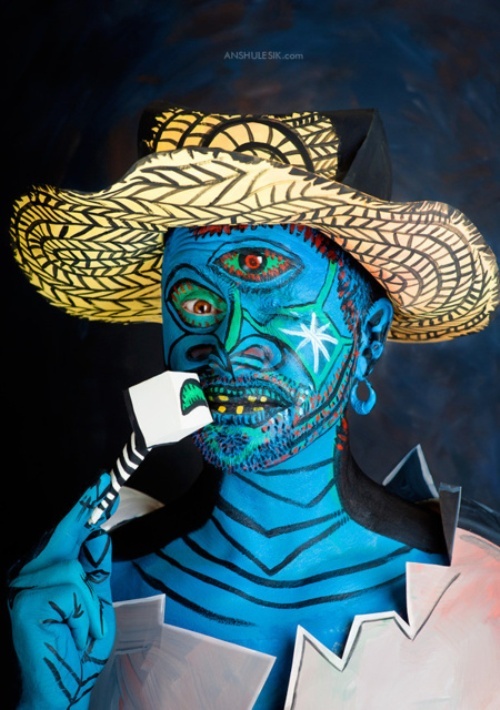 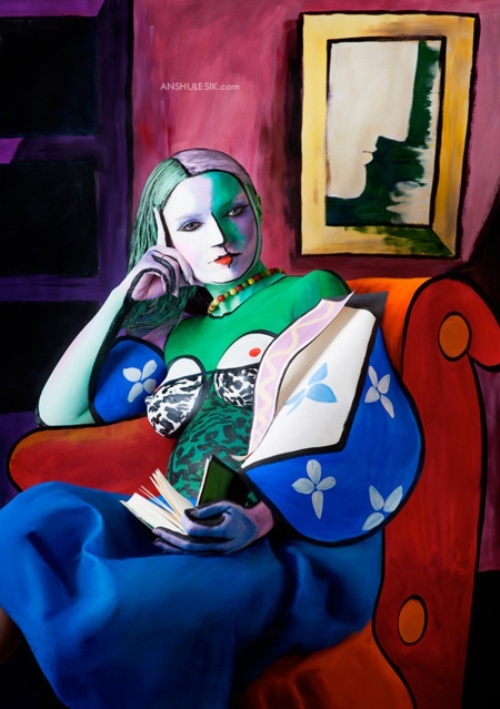 Project by Irina Lesik and Andrei Shushvalyuk is called “Paintings by Pablo Picasso.” On the photograph are real people theatrically dressed and painted in bright colors, exactly like the cubist paintings of the great Spanish artist. 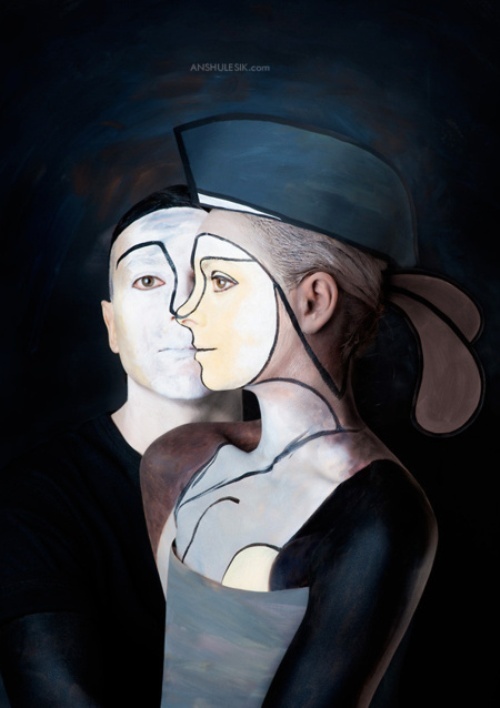 The art works by the talented photographers from Moldovan city of Kishinev were performed without the use of a graphical editor, or Photoshop.